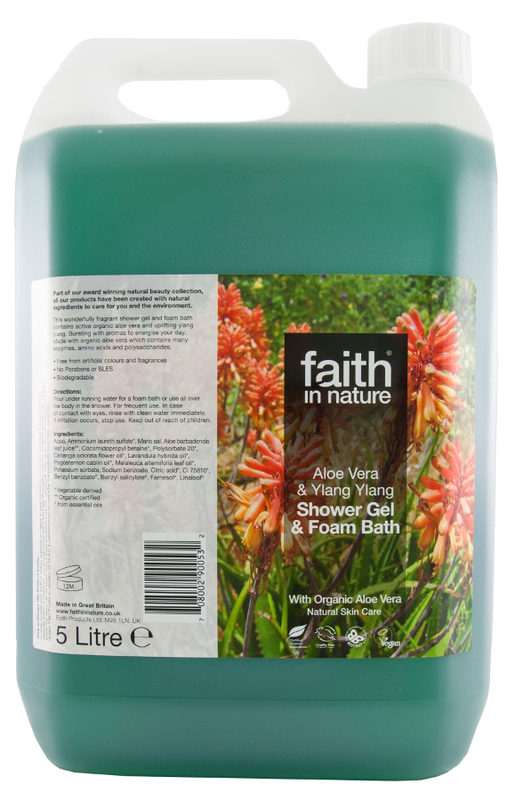 Enjoy a long relaxing soak in this fragrant Aloe Vera and Ylang Ylang bubble bath from Faith In Nature. 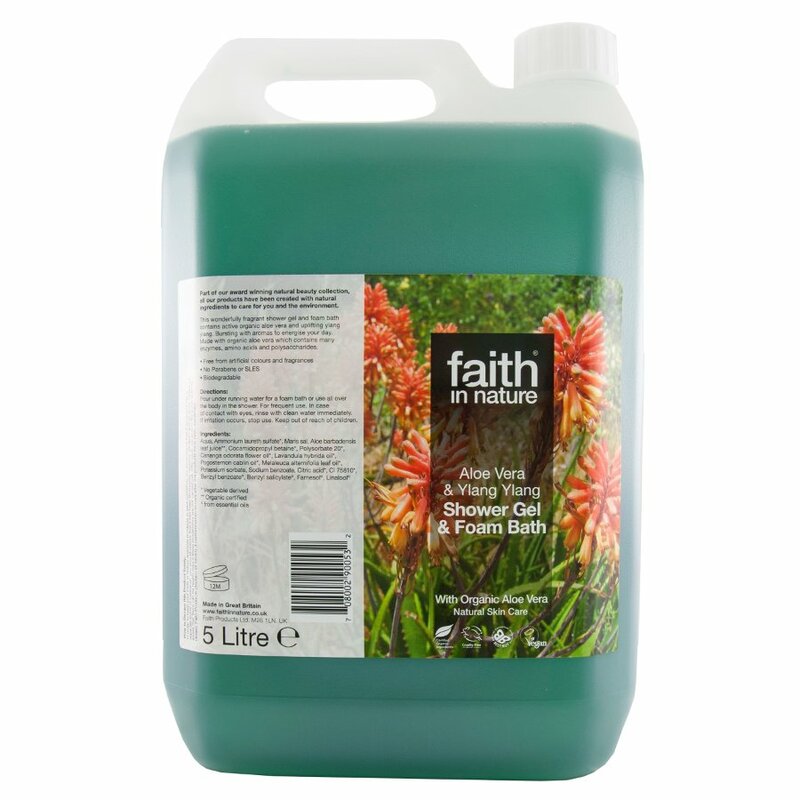 Special therapeutic aromatherapy bath products can lower stress levels. 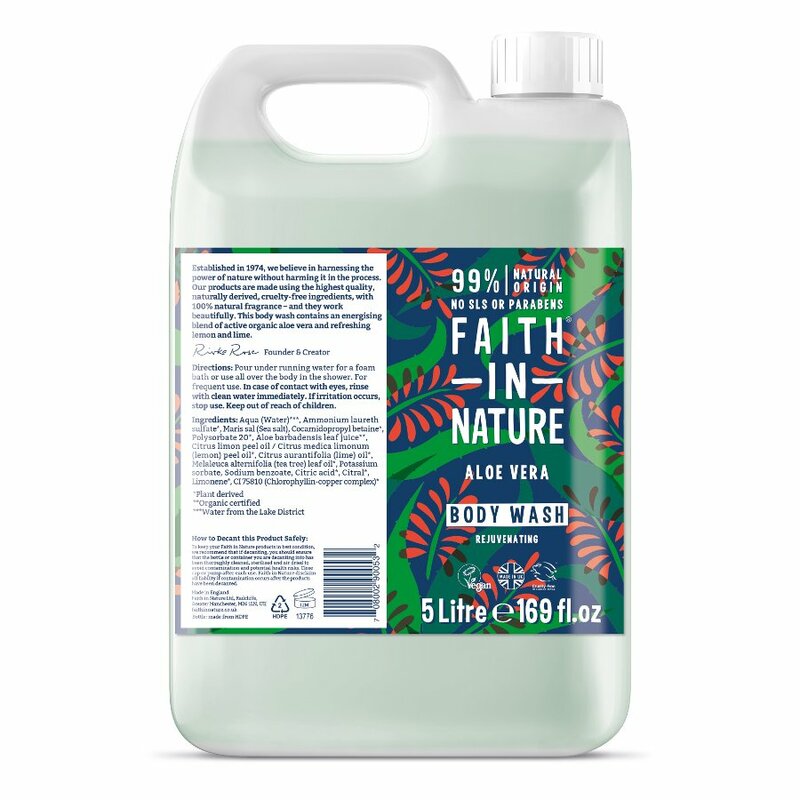 The pure regenerative organic aloe vera gel and the precious and relaxing ylang ylang oil to soothe away the day’s wrinkles easing your body and mind at the same time. 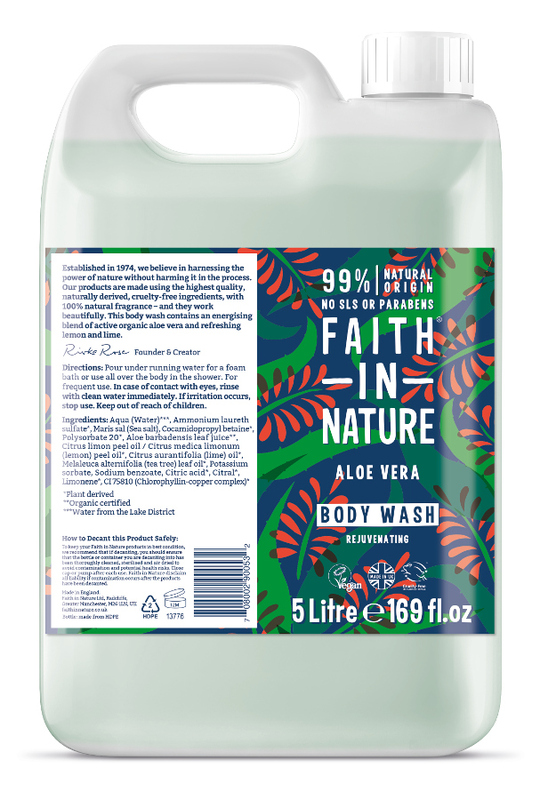 There are currently no questions to display about Faith In Nature Aloe Vera Body Wash - 5L.